When a stranger approached Briar Lusia Mcqueen whilst she was breastfeeding her 8 week old baby in a cafe, the young mother feared the worst. We regularly hear stories of breastfeeding mothers being asked to move somewhere private or, worse, cover up, and Briar was concerned. But nothing could be further from the stranger’s thoughts. 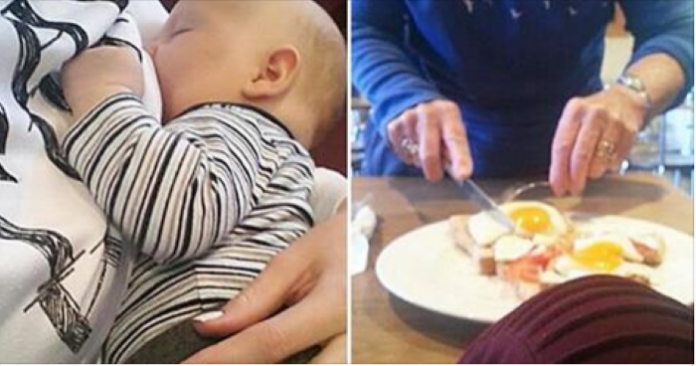 For the woman sat down and proceeded to cut up Briar’s breakfast, so she could eat it at the same time as feeding her son at the cafe in Mount Maunganui, New Zealand. After the post appeared on Facebook, Briar’s story went viral, receiving 123,000 likes, 5,467 comments and 3,884 shares. So next time you see a young mother struggling with her kids, why not offer a hand.